thehorophile: Today I’m posting about two things I bought at Baselworld 2016, and they’re not watches. First up is a book all about collectible 20th century chronographs called, well, “Chronographs for Collectors”, covering just about everything from the Heuer Carrera and Omega Speedmaster to the Universal Tri-Compax and Zenith El Primero with original photography of stellar examples. 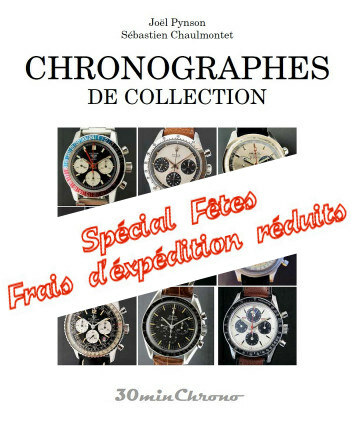 Several years in the making, the book is written by published chronograph specialist Joël Pynson and my good friend Dr. Sebastien Chaulmontet, one of the most knowledgeable collectors of vintage chronographs and watchmaking in general I know. He’s also the Head of Innovation and movement creation at Arnold & Son and Angelus.